“When shall we three meet again?” ask the three witches at the beginning of Macbeth. Probably quite soon is the answer this year, when there are Scottish Plays popping up everywhere you look. The National’s production is out on tour, the Royal Shakespeare Company’s is at the Barbican and the National Youth Theatre’s is in the West End. 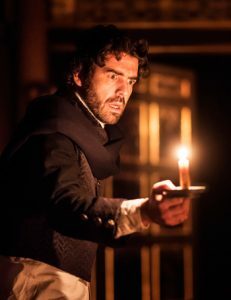 And now Shakespeare’s Globe’s in the candlelit Sam Wanamaker Playhouse. 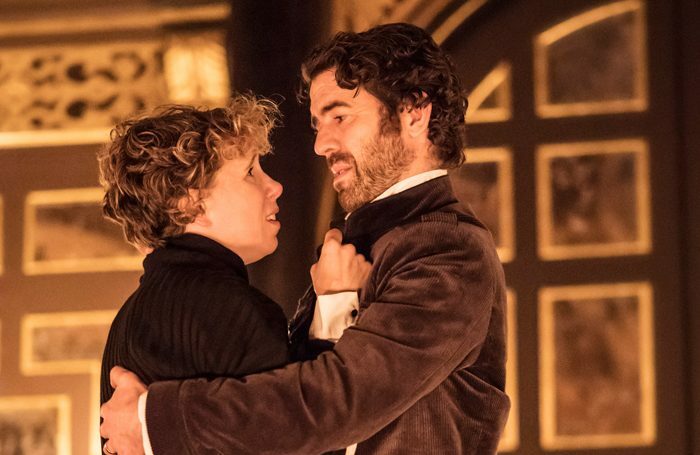 It’s the first production of Michelle Terry’s first winter season as artistic director, and Terry herself stars as Lady Macbeth, alongside her real-life husband Paul Ready in the lead role. Robert Hastie, artistic director of Sheffield Theatres, directs a show that’s in rep until February. 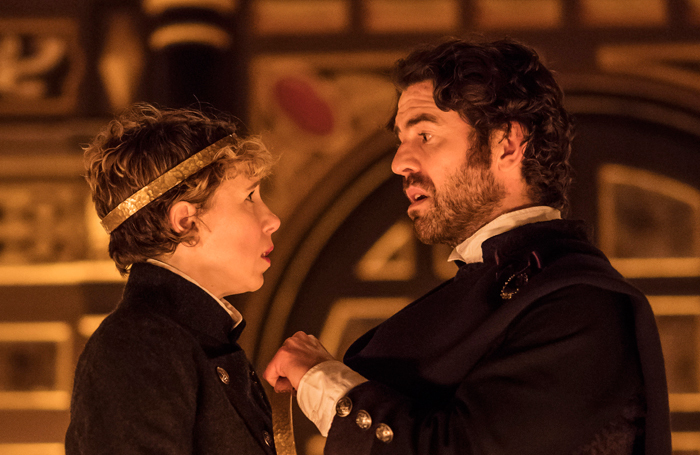 But does Hastie’s staging suit the softly lit Sam Wanamaker? Do Ready and Terry bring matrimonial mayhem to the Macbeth household? Where do the critics think this production ranks in this season of Scottish plays? Fergus Morgan rounds up the reviews. The National gave us a post-apocalyptic Macbeth. The RSC gave us a production steeped in horror. What does Hastie do with it, and how well do the critics reckon he does it? “Quietness and love are the two threads that run through Robert Hastie’s production of this difficult play, easily the best of the three versions of it that I have seen this year, partly because it has a directness and a willingness to trust the text that makes it immediately accessible,” writes Sarah Crompton (WhatsOnStage, ★★★). John Nathan (Metro, ★★★★★) agrees, opining that the Wanamaker has been “superbly used” by Hastie, and that his production contains “the most potent theatrical moment of the year”. Other reviews, though, are more ambivalent. Alice Saville (TimeOut, ★★★) reckons its “wry, firmly ungory approach” sacrifices the plays “sickly momentum”, but finds it “crystal clear and consistently intriguing” nonetheless. Rachel Halliburton (Arts Desk, ★★★) finds it a “rich and rewarding reading”, while Fiona Mountford (Evening Standard, ★★★) calls it “still and centred”. And others (okay, fine, only me) find little to love at all. In my review (The Stage, ★★), I said Hastie “plays everything with a resolutely straight bat” and “other than commendably casting MacDuff as a black woman, Anna-Maria Nabirye, it’s difficult to make out any real imaginative leaps he’s made at all”. The critics are fairly divided over how good Hastie’s softly lit staging, some calling it perfection, others failing to see what the fuss is about. But what about Ready’s central performance as the titular Thane of Glamis. 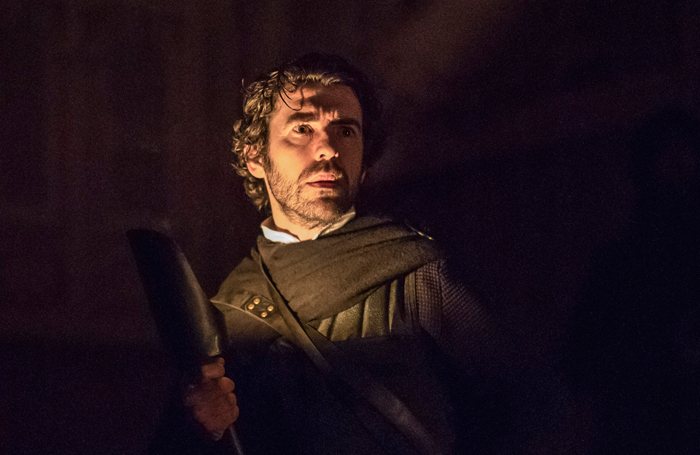 Does he make for a memorable Macbeth? “Ready is a rare bird in that he has an actorly way with oratory, but instead of keeping us at a distance from his character, it clarifies nuances and levels and paradoxically allows us in deeper,” adds Shuttleworth. Plenty of praise for Ready then, but its not all thumbs up. According to Mountford, “Ready speaks the verse beautifully, but doesn’t plumb the necessary depths and extremes of behaviour”, and according to me, he’s “a decent Macbeth, but only decent”. Opposite Ready’s Macbeth is a familiar face – his real-life wife and artistic director Michelle Terry. She has already taken on Hamlet during her tenure on the South Bank with mixed results. How does she fare with the murderous Lady M? Macbeth – Is it any good? There are four five-star reviews from the Telegraph, Daily Mail, the Financial Times and Metro. Allfree, Marmion, Shuttleworth and Nathan cheer Hastie’s soft, eerie staging, Ready’s unexpectedly erudite Macbeth and Terry’s sensitive performance as his wife. But there’s a clutter of three-star ratings, too, plus one two-star outlier (ahem). 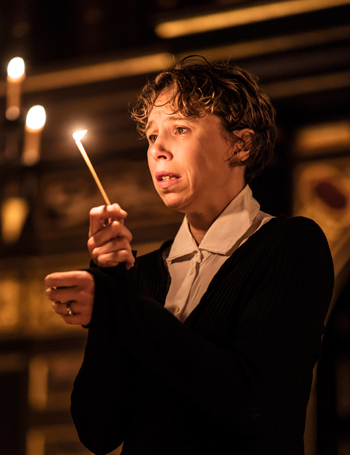 For some there’s just not enough blood in this bloody tale, for others it’s certainly the best Macbeth this year – and the finest show at the Globe for some time.